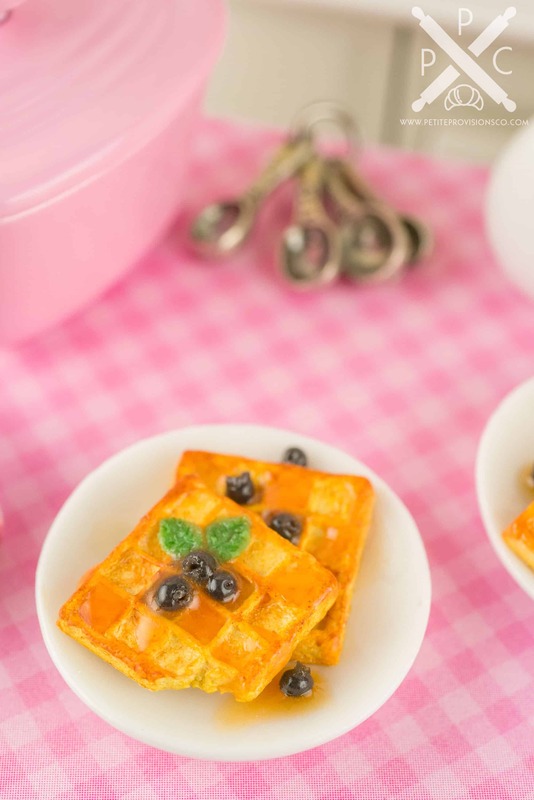 Dollhouse Miniature Waffles with Blueberries - 1:12 Dollhouse Miniature - The Petite Provisions Co.
What a perfect way to start your morning – with a pair of waffles topped with fresh blueberries! 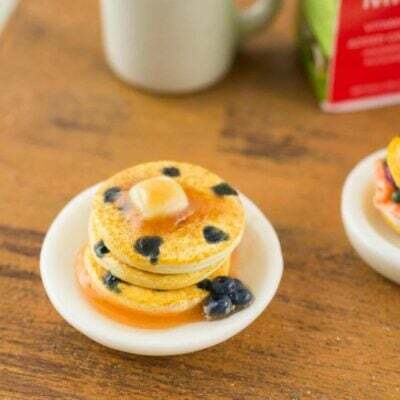 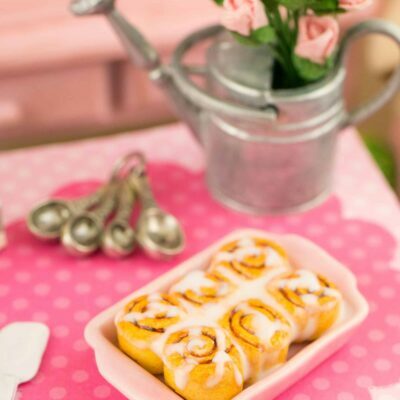 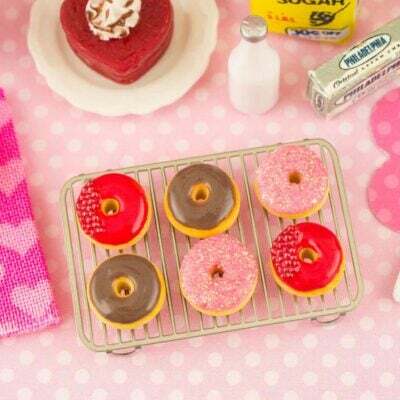 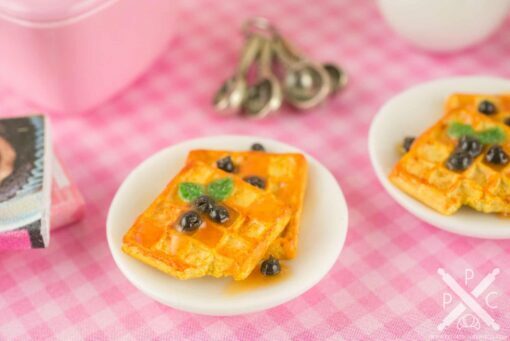 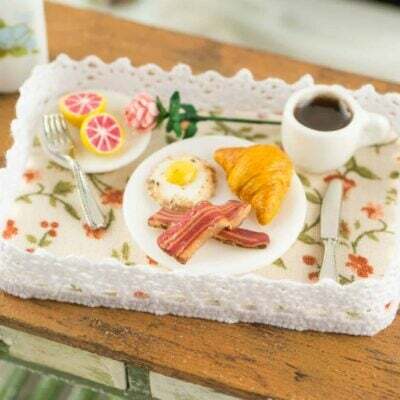 Whether you have a dollhouse or just love all things tiny, this bite-sized breakfast is too cute to resist! 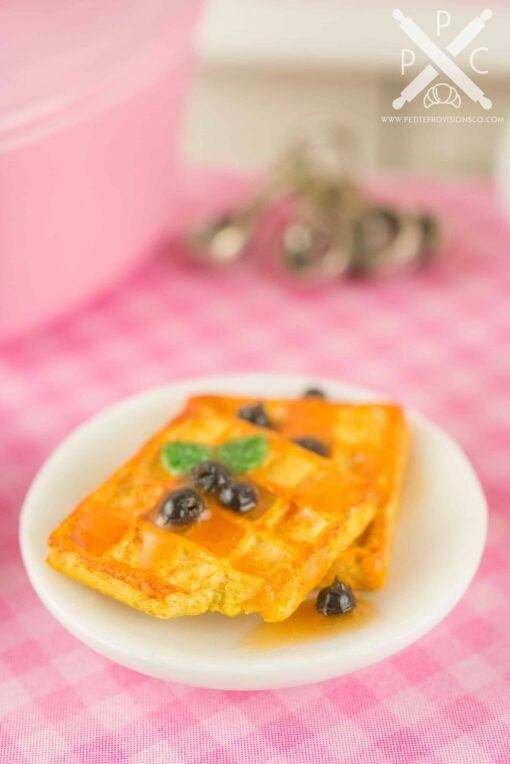 A duo of golden brown waffles with a generous drizzle of maple syrup. 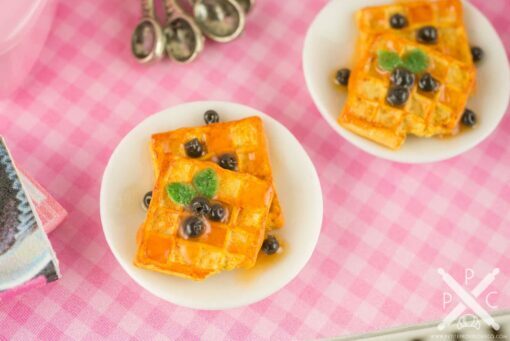 There’s also a smattering of fresh blueberries and fresh mint leaves on top.